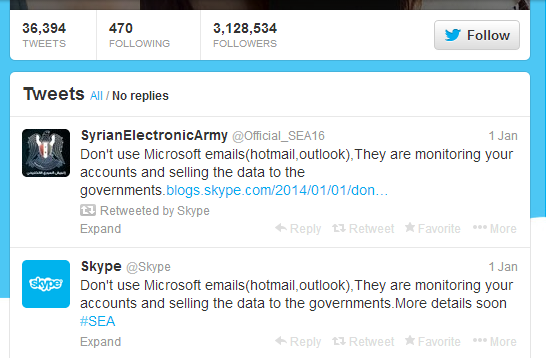 I was writing this post and Skype has just regained access of its blog and deleted both of the posts posted by SEA. Look at below screenshot of the first post which I accessed from archive.org. 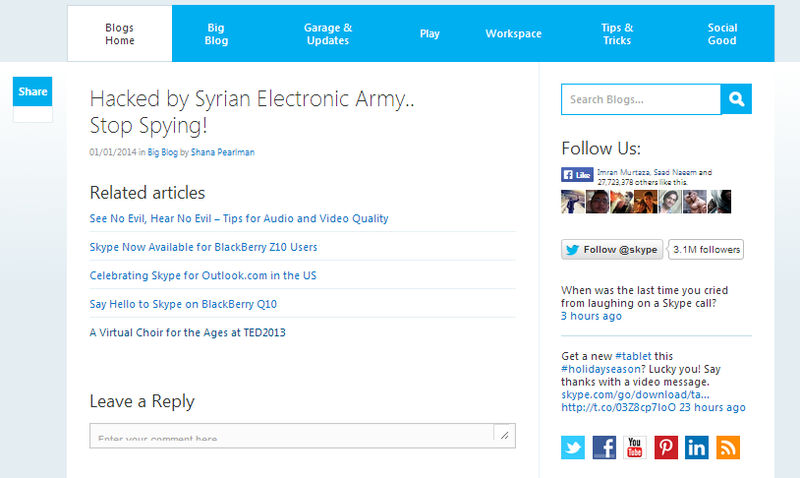 Hacked by Syrian Electronic Army.. Stop Spying! Around the world SEA (Syrian Electronic Army) is known because of their hacking practices, in which they mostly targets western media and government organizations in support of Syria Govt. of Bashar al-Assad. Well attack on Skype officially is not the first event, SEA recently breached Washington Post 2nd time on 18th of December. Before in October 2013 SEA target accounts of Barrack Obama on multiple social networks including LinkedIn, Twitter and Facebook probably by hacking email accounts of Suzanne Snurpus, one of the admins of Obama's official website. Probably this is the big surprise by SEA on the first day of 2014 for Skype, who recently gave free voucher codes of worth $107 to thousands of people.